Immortals have signed SK Gaming's CS:GO roster, who will play as MIBR. MIBR is a storied Brazilian Counter-Strike organization, best known for their dominance in CS 1.6 in the mid-2000s. The team was then known as Made in Brazil, and Immortals purchased that brand earlier this year. The roster will be made up of Ricardo "boltz" Prass, Marcelo "coldzera" David, Gabriel "FalleN" Toledo, Fernando "fer" Alvarenga and Jacky "Stewie2K" Yip. The team will be coached by Ricardo "dead" Sinigaglia, managed by Tomi “lurppis” Kovanen and will be based out of Los Angeles. According to Whinston, the roster has signed what he and the organization believe are the "longest contracts in Counter-Strike," with the roster apparently planning to end their careers on MIBR. "Having talked to guys like FalleN and fer who have been playing Counter-Strike for a long time, as of this moment it's their intention to retire with this organization. 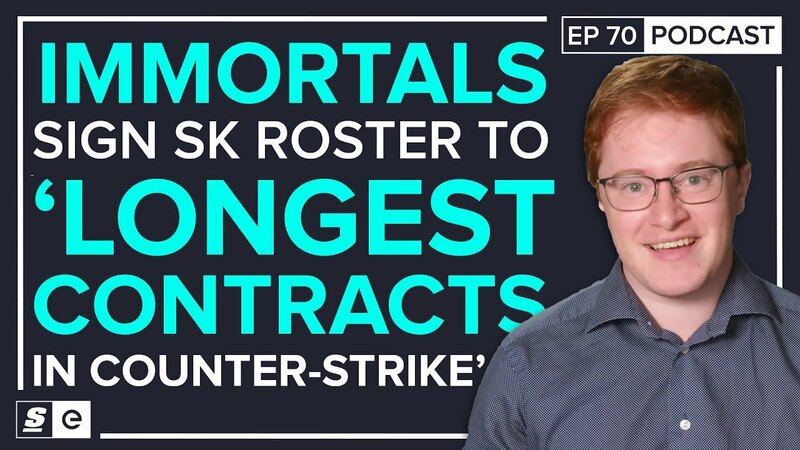 To play out these contracts and to make this the final home that they have as professional players," Immortals' CEO Noah Whinston told theScore esports. "Of course, no matter what age they are, they're all in for long and promising careers after they're done playing professionally as well, but I think, and I believe the intention here is that this is kind of their, in some ways this is their own home. They have a kind of co-benefit with the organization and seeing it grow, they're mutually invested with the organization in improving the Brazilian ecosystem and scenario and I think we're all working towards the same goals," he said. Whinston revealed the thought process behind reviving the MIBR brand. "As part of the Immortals organization we've brought back the historic MIBR Counter-Strike brand," he said. "And we're going to be revitalizing this brand, bring it back with a roster of championship-caliber players, some pretty cool brand partners and really working, not just to kind of bring back a historic team, but working to create a legacy of infrastructure and talent development and community service here in Brazil that I think can do a lot to transform the scenario here and be a model for how organizations work in other parts of the world as well." The core of this roster has played for European organization SK Gaming since mid-2016, and prior to that, for Luminosity Gaming. FalleN, fer and coldzera have won two CS:GO Majors, and many more premier tournaments. However, the most recent iteration of the SK Gaming roster has struggled. Since bringing on Stewie2K earlier this year, SK has lost games to significantly weaker teams, placing 5th-6th at the ESL Pro League Season 7 Finals and 13th-16th at IEM Sydney. "They certainly have not been winning championships, but I think also often people underrate the difficulty but also the importantance of the transition they're going through right now from communicating in Portuguese to communicating in English," Whinston said. "It's not an easy transition, it's a transition that's absolutely worth it in the long term for the team." Most recently, the team placed 3rd-4th at ESL One: Belo Horizonte 2018 after dropping a game to Space Soldiers in the group stage and losing 2-0 to mousesports in the playoffs. MIBR will debut at ESL One: Cologne 2018 on July 3, and will be taking SK Gaming's spot at the event.